While in graduate school, I would occasionally take the forty-five-minute drive to Conyers, Georgia, just outside of Atlanta, for a weekend of blissful silence. Several years earlier a friend told me about the Monastery of the Holy Spirit and the welcoming embrace afforded to people from all walks of life, including non-Catholics like me. The brothers of the monastery are members of the Order of Cistercians of the Strict Observance, more commonly known as Trappists, who dedicate themselves to a life of solitude, silence and humility. I cherished these times away from the obligations and stresses of graduate school, brief opportunities for contemplation and recharging. Father Francis, who for many years ran the guest house there and has since passed on, taught me the importance of silent reflection. We often have the mistaken notion of monks as living lives of isolation and detachment from the “reality” we know, but my experience over the years is that they are very much of this world, dealing day-to-day with the same things we have to deal with to get by, just doing it with a perspective and life balance that is lost on us. Upon leaving graduate school, I put those weekend experiences behind me and moved on. My wife and I relocated to New Jersey, and for the next twenty years I pursued my professional career, largely heedless to the powerful lessons learned from the brothers in Conyers. Caught up in a hard-driving, success-focused life that I would imagine resonates with most people reading these words, there was precious little time for contemplation. Life balance? Forget about it, it just wasn’t in the cards. Fast forward twenty years and I found myself, again, yearning for quiet time, for opportunities to reflect amidst the cacophony and sensory overload of everyday life. For centering. For getting back in touch with what, at the end of the day, really matters. It was around that time that I discovered another special place, this time a thousand miles away in Cambridge, Massachusetts and run not by Catholic monks, but by the brothers of the Anglican order of the Society of Saint John the Evangelist. 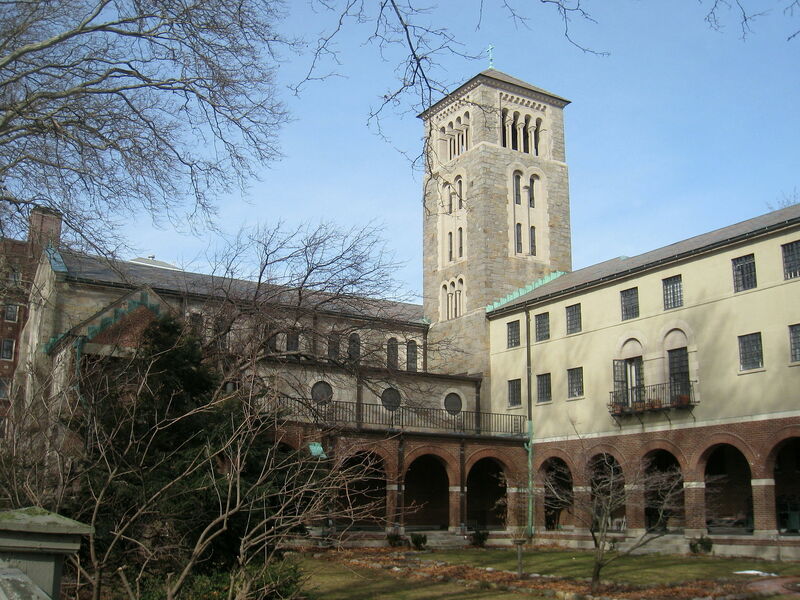 Situated on the banks of the Charles River mere yards from Harvard Square, the monastery provided a sanctuary in a time of need. I found myself drawn to a welcoming community and the power of silent contemplation. If you’re like me, you likely find it increasingly difficult to find opportunities for reflection, for quiet contemplation, for sense-making in a noisy, information-saturated world. I find myself seeking out such opportunities more frequently these days. This is not necessarily about religion, by the way. And it’s not about the prattling of a sixty-something edging ever closer to retirement. There are ample opportunities for all of us, regardless of our stages in life or our theological beliefs, or lack thereof, to find solace in silence. If we just look for them. Skeptics among us may say that this is our reality. That, in order to get ahead in an increasingly competitive world, we have to play the game. These are the times we live in and no amount of pontification about the power of quiet contemplation will change that. Get real, they might say. We can’t afford to slow down. My conviction, increasingly, is that we can’t afford NOT to. Our spirits and souls, our futures and those of our children, just may be at stake. Nice article. I found your post on LinkedIn. I spent a lot of time at MOHS a few years ago. I was very tense the first time I stayed at the guest house. My health was bad and nearly everything angered me. My time with the monks as a guest and as a Lay Cistercian novice played a large role in the changes that are still taking place in the way I view life. While I did not continue my journey with the Lay Cistercians, I enjoyed being part of a community while I was involved. I have been thinking about heading north to Conyers for a seven-day personal silent retreat these past few weeks. Thanks for sharing. Mike, this is a great article. Stillness is something that most people don’t understand and feel it is something that they can’t achieve. This is a very big part of what we do in our program. Thank you for being another person who shifting the consciousness of people and business.